Homeowners willing to buy quality homes in Bangalore should have a look into property in Uttarahalli Bangalore . The area has witnessed a phenomenal growth of infrastructure in recent years. The demand for property in the area is rising, due to the enriched social infrastructure and commercial infrastructure of Bangalore. It is the IT capital of the country and the provide tremendous employment opportunities to the residents. 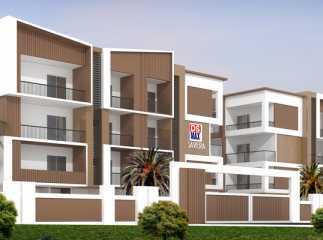 Investors from various parts of the country are interested in buying these apartments. The residential complexes come with green living facilities. You will enjoy the extensive green zones and landscaped gardens in the complex. The residential apartments in Uttarahalli Bangalore are known for their location advantages. The residents can get across to the important places in the city in quick time from the estate. The residential complex comes with several lifestyle and healthcare amenities. The prices of property in the area are rising. If you are willing to buy 3BHK Property in Uttarahalli Bangalore , this is the right time to make your investment.